Tiziano Ferro, the Italian superstar whose first two albums have sold more than two million copies worldwide, has signed a new recording contract with EMI Music. A 10-times platinum-selling artist in his homeland, more than half of Ferro's sales to date have come from outside Italy. The singer-songwriter is currently putting the finishing touches to a new studio album after completing a successful debut tour of Latin America. His third album for EMI, the follow-up to the multi-platinum 111, will be released in 2006. "Tiziano is one of the hottest talents in Europe right now, and his success with EMI Music Italy's Beppe Ciaraldi and Fabrizio Giannini has built a platform for him to develop into a genuinely international star," said Jean-Francois Cecillon, chairman and CEO of EMI Music Continental Europe. "We are delighted that Tiziano has decided to extend his successful relationship with EMI, and we look forward to working with him for many years to come." "It was important that I secured a recording contract that would allow my career to grow further, in Italy, in Europe and around the world," said Ferro. "EMI was the company that launched my career, and has a great track record in building long term careers for its artists, so I'm very pleased to be able to continue working with them." 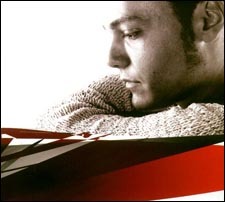 Ferro's debut album Rosso Relativo was an instant hit on its release in late 2001, spending seven months in the Italian top 10 and reaching the top 30 in 12 countries including France, Germany and Spain. The debut single Perdono was number one in Italy, Belgium and Holland. The 2003 follow-up 111 has now shipped more than a million copies worldwide, turning quadruple platinum in his native Italy. The album also launched the singer as a major star in Latin America with the album reaching number one in Mexico with double platinum sales and also charting in Argentina and Columbia.